Dining for Women is a global giving circle dedicated to transforming lives and eradicating poverty among women and girls in the developing world. Dining for Women funds projects that contribute to helping women and girls in the developing world achieve education, gain equality in their countries and cultures, and overcome economic limitations and social bias. Women and Girls. Dining for Women supports women and girls living in extreme poverty (living on $1.90 a day or less) in developing countries. Grants are for grass-roots projects in education, healthcare, economic and environmental sustainability, safety and security, leadership and agriculture. Dining for Women makes grants of US$ 35-50 thousand that may be disbursed in up to two equal distributions spanning a period of two years. 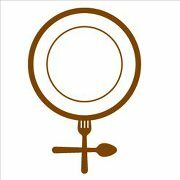 APPLICATION: Twice each year, Dining for Women opens a funding cycle to accept proposals from projects. Dining for Women selects a featured grantee each month and promotes it throughout the media. The Foundation shares financial information, including annual reports and grant distribution. Recipes features tested local recipes from supported developing countries.